Your First Dance as husband and wife is a memory to have for many years to come and to share with others. This is why trusting an experienced and specialist Wedding Dance services studio like First Dance is key. It is an honour for us to choreograph your first moments together as a married couple and we can really make you feel comfortable on your big day and give you your desired result. We understand you may not know what to expect, but we guarantee that we can turn your vision into a beautiful reality. Tip: Don’t leave it to the last minute! Place your trust in experience and quality. 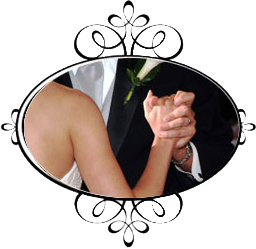 First Dance – Adelaide & Melbourne’s Premier Bridal Dance Choreographers is a specialized division of Steven Kelly International Dance Studios. The Kelly family have been teaching people to dance since 1964, and have taught thousands of wedding couples how to dance and look great on their wedding day. With all this knowledge and experience, Steven Kelly (click for bio) founded a separate division for Bridal Choreography which has become today’s First Dance Services. “Thanks to the team at First Dance, we felt really comfortable dancing on our wedding day, and our dance was just what we wanted – something fun and graceful! We thought it would be hard to do, but all the teachers made learning a breeze and Adam and I had a great time coming to our lessons together. Definitely something worth doing!” – Rebecca & Adam H.